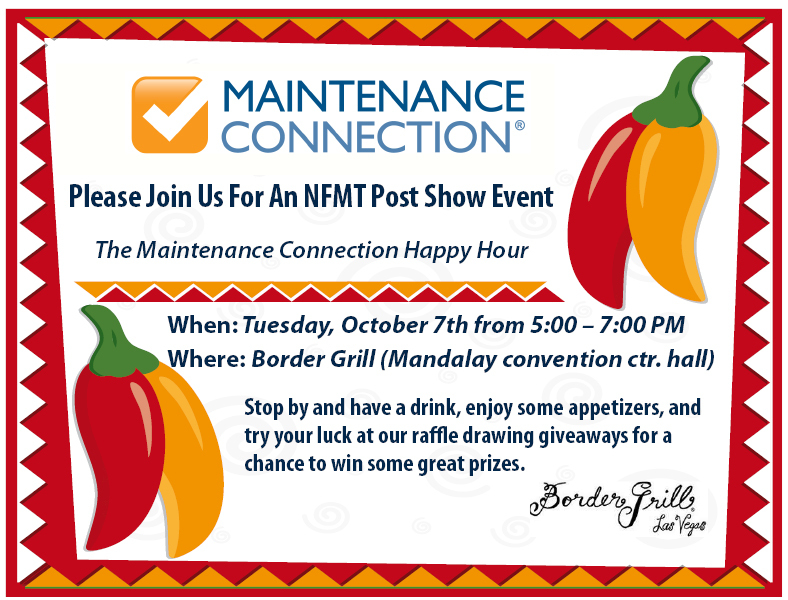 It’s almost time for NFMT Las Vegas, coming up October 7th – 8th. Be sure to stop by the Maintenance Connection booth, #607 in the expo hall to say hello and learn what’s new and get your ticket to our Customer Appreciation Happy Hour that you won’t want to miss. If you haven’t signed up yet for NFMT Baltimore, there is still time and registration is free when you use the Maintenance Connection priority registration code. Simply register by clicking here.